Looking for a career boost? We might just have the right opening for you. Why feel like just another member of staff? We give every employee an environment of openness, participation, respect and confidence. We are an equal and multicultural organization. 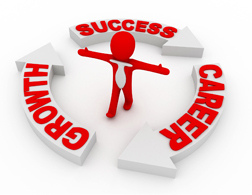 We look after our employees and offer regular career development opportunities. Our process gives you individual goals and helps you achieve them. Working here is fun and exciting, and we’re always interested to hear from bright, lively people. Get in touch with our office today to find out more. Analyze science, engineering, business, and other data processing problems to implement and improve computer systems using technologies such as using various software technologies such as Java, J2EE, Oracle, XML, EDI, SQL, XSLT, Unix, Gentran, Hibernate, Spring, Windows, Sterling Integrator, C#, ASP.NET, SAP. Analyze user requirements, procedures, and problems to automate or improve existing systems and review computer system capabilities, workflow, and scheduling limitations using latest technologies such as Java, J2EE, Oracle, XML,EDI, SQL, XSLT, Unix, Gentran, Hibernate, Spring, Windows, Sterling Integrator , C#, ASP.NET, SAP. Work under supervision. Travel is required to unanticipated client sites. Master’s degree in Science, Engineering, Technology, Business, Math, or a related field is required. Bachelor’s degree along with 5 years of experience in job offered or any related job is acceptable in lieu of Master’s degree. Any suitable combination of education, training, or experience is acceptable. Relocation may be required. Analyze science, engineering, business, and other data processing problems to implement and improve computer systems using using any ONE of software technologies based on Java, J2EE, Oracle, XML, EDI, SQL, XSLT, Unix, Gentran, Hibernate, Spring, Windows, Sterling Integrator, C#, ASP.NET or SAP. Analyze user requirements, procedures, and problems to automate or improve existing systems and review computer system capabilities, workflow, and scheduling limitations using latest technologies. Should be able to use at least one of Java, J2EE, Oracle, XML, EDI, SQL, XSLT, Unix, Gentran, Hibernate, Spring, Windows, Sterling Integrator, C#, ASP.NET or SAP software technology. Work under supervision. Travel is required to unanticipated client sites. Bachelor’s Degree or Equivalent in Computer Science or Information Technology or Engineering, Math or Business closely related field. 6 months experience in job offered or 6 months experience as an IT Consultant or Analyst or Programmer or Developer or a very closely related field. Experience should include six months of experience in at least one skill of Java, J2EE, Oracle, XML, EDI, SQL, XSLT, Unix, Gentran, Hibernate, Spring, Windows, Sterling Integrator, C#, ASP.NET, SAP technologies. Send Resume to HR Dept., Skillsight, Inc., 5700 Memorial Hwy Ste-211 Tampa, Florida 33615. All employees of Skillsight, Inc. are automatically enrolled in the employee referral program of the company. Referral fee of $1,000 will be paid if referred candidate is hired by the company.